CLOVER-Elastic Yarn Thread. 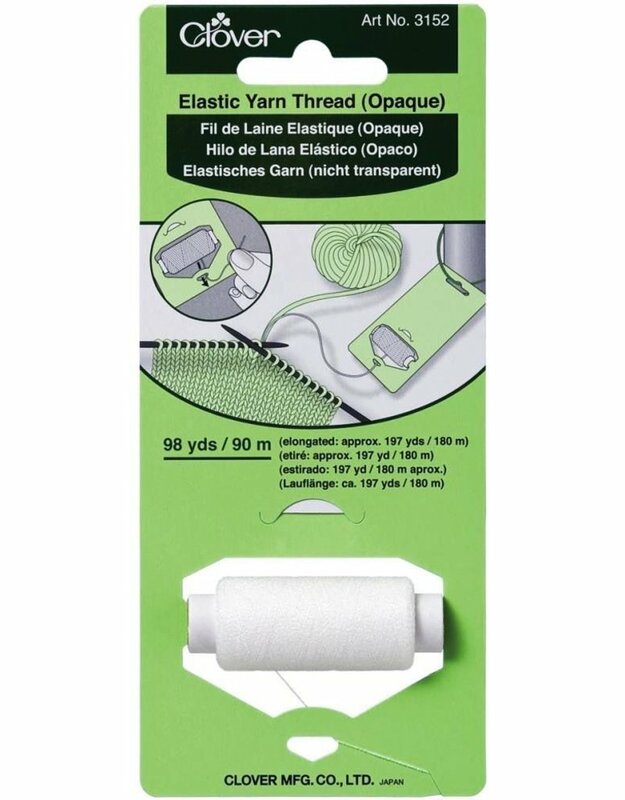 Use Elastic Yarn Thread in socks, cuffs, and sweater ribbing to maintain shape. 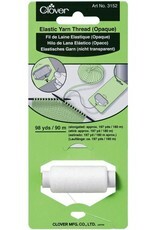 This package contains 98 yards of opaque elastic yarn thread: 60% Polyurethane/40% nylon. Imported.